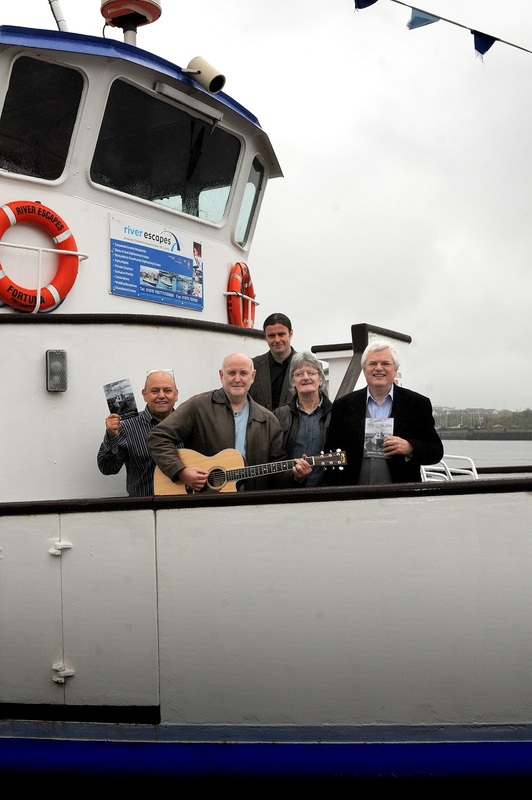 Writer Tom Kelly is bringing his tales from the Tyne shipyards back to The Customs House. Men of the Tyne was born out of conversations Tom started having in 2011 with men who worked on the river between the 1950s and 1980s. In a project commissioned by Ray Spencer, executive director of The Customs House, Tom worked with filmmaker Andrew Hagan to capture their stories. What started as a short performance on board the Fortuna as it sailed up and down the Tyne soon turned into a full show that has toured the region, as well as inspired an education project and photographic exhibition. It returns to The Customs House for two shows on Thursday 14th September at 2.30pm and 7.30pm, featuring stories, songs and a screening of the film. Tom wrote and performs the stories in the show and the songs, written by Tom and Ian Ravenscroft, are played by Ian and sung by folk singer Ted Cuskin. Andrew Hagan, Ted Cuskin and Tom Kelly. The Tyne shipyards were a symbol of the north east’s industrial heritage respected throughout the world. Sadly, some of the men Tom originally interviewed have since died, which makes the preservation of their stories for future generations all the more important. Tickets, priced £10 or £8 for Friends of The Customs House, are available from the box office on (0191) 454 1234 or online at www.customshouse.co.uk.